"The Battle of Aughrim". Painting by John Mulvaney. How the Battle of the Boyne, celebrated annually on July 12 in Northern Ireland by Ulster loyalist marching bands, and the Battle of Aughrim changed Ireland’s religious and political infrastructure so much that we still see its effects nearly 330 years later. 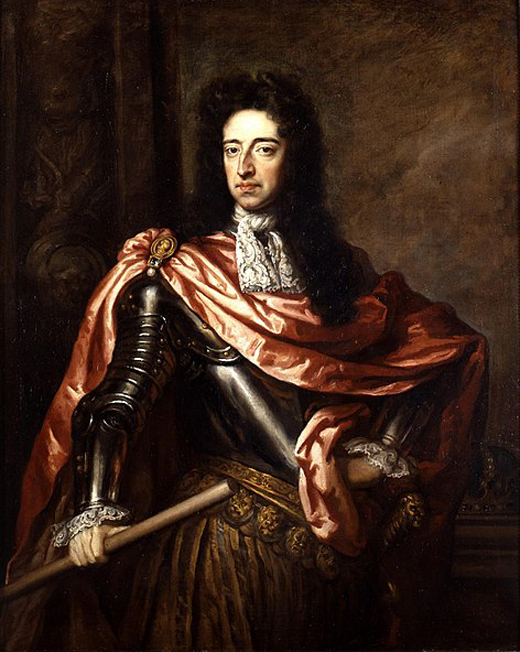 On July 1, 1690, in Oldbridge, County Meath, the Battle of the Boyne took place between William of Orange, the recently crowned King of England, Scotland, and Ireland, and his Catholic father-in-law, the deposed James II and VII (he was King of Ireland and England as James II, and King of Scotland as James VII). The battle was extension of the Nine Years War raging across Europe, and even North America at the time, now considered the first global conflict. Painting of King James II and VII, from the studio of Godfrey Kneller. Wikimedia Commons. James and William’s conflict in Ireland is called “Cogadh an Dá Ri” meaning “war of the two kings.” James’ forces, called the Jacobites after the Latin version of James, counted 25,000 French and Irishmen, including one of the best cavalry forces in Europe. The Irish supported James because of his promises to Ireland’s parliament for eventual self-determination, legislative acts towards removing penal laws, and religious freedom. The French supported James because William was waging war against his old enemy, Louis XIV as the French king claimed territory across the Rhine as his and was seeking to extend his political dominance to the Holy Roman Empire. William’s force numbered 36,000 soldiers from England, Scotland, the Netherlands, and French Huguenots, who were persecuted by Louis. His soldiers had the best weaponry money could buy, and were even backed by the Papacy, due to the pope’s alliance against Louis. The battle was fought for control of a ford on the Boyne as it was the last hurdle in William’s way to victory in Ireland. After four hours of fighting and trudging through water, where William’s men were constantly being swarmed and pushed back by James’ French cavalry, William made a reckless but, in the end, successful decision and began to cross the raging waters of the Boyne for a direct assault on James’ men further down the river. He himself did not cross due to an asthma attack, and had to be pulled back to shore. Despite being matched up against the best horsemen in Europe, William’s superior firepower enabled them to press on, convincing James to retreat, leaving with some of the last hopes of the Jacobites. Militarily, William’s victory only cost James and his supporters 2,000 men, but his victory and James’ fleeing back to France began to slowly unravel the hopes for Catholic rule and freedom in Ireland. 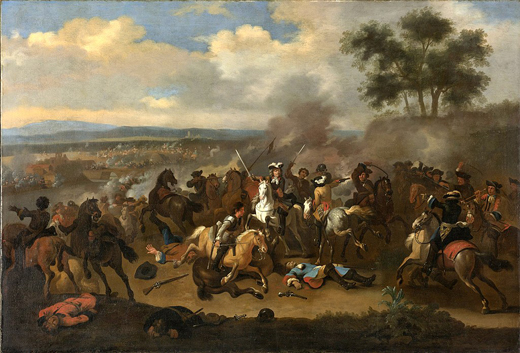 Jan van Huchtenburg’s depiction of the Battle of the Boyne depicting William II I on the white horse. Wikimedia Commons. In the aftermath of the battle, the Jacobite cause could have ended if it weren’t for the ruthless peace terms that William drafted. In the Declaration of Finglas, William pardoned regular soldiers that took part in James’ army but refused to pardon the Jacobite officers and the Irish Catholic landed gentry, resulting in their willing to fight on without their figurehead. They retreated into Connacht to gain a defensive position by using the River Shannon as a natural moat. 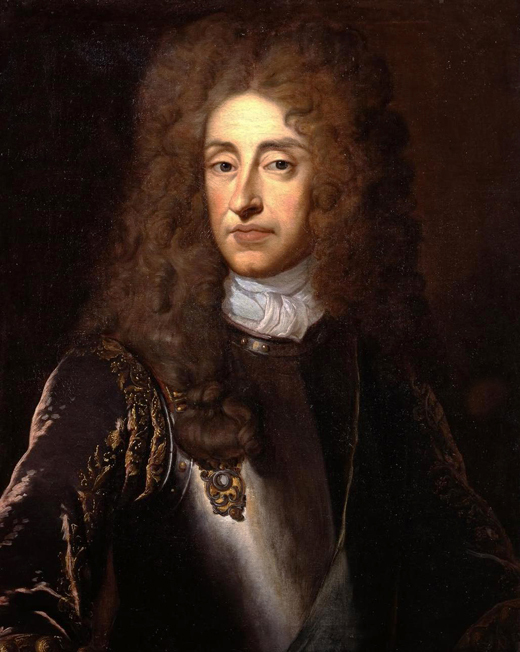 The Williamite forces were also willing to fight without their leader as William left Ireland to his right-hand man Godert de Ginkel in late 1690. After beating the odds by crossing the Shannon, de Ginkel besieged the city of Athlone. As he and his force of 20,000 marched through Galway, they eventually encounter Jacobite commander General Charles Chalmont, Marquis de St. Ruth and his army of roughly 20,000 on July 12, 1691 near the village of Aughrim in County Galway. The commanders and their armies took their positions but didn’t realize the brevity of what was going to happen next. The Marquis and his Jacobites held a strong position on Kilcommadan Hill, which was fortified by strong stone walls that could be used for cover. To their left, they had a bog which would slow down progress if de Ginkel decided to use that route. De Ginkel decided to go into the open flank and sent a direct assault with both cavalry and infantry. Seeing this, the Jacobite forces fired fiercely upon de Ginkel’s men, turning the green grass red as each Williamite fell one by one and some Jacobites were able to steal Williamite artillery. The Irish Jacobites were confident that they were about to turn the war around in their favor. However, the Williamites saw that their enemy was running out of ammunition, so they took their last option, to charge through the bog. Unable to use the stolen cannon, they rushed the Jacobite position, enabling them to get past cannon fire from a nearby castle. This was the beginning of the end for the Jacobites. A Jacobite force under the command of a Henry Luttrell withdrew from the battle, enabling the Williamites to take over the castle and its garrison to the left of the Jacobites’ position. Marquis de St. Ruth tried to quell the assault on the castle, believing if he and his forces routed them, they would win the day. As he gallantly rushed to his men’s aid he was decapitated by a cannonball. The horsemen being demoralized by the loss of yet another leader left the battle to the Williamites, who proceeded to destroy the rest of the Jacobite force. At the end of the day, around 5,000 to 7,000 men were killed, many of whom were irreplaceable Jacobite officers. The combination of lack of leadership, and the carnage of 4,000 men killed on the Irish Jacobite side, with another 4,000 most likely deserted left only a small force before an ultimate surrender in Limerick in October 1691. The Treaty of Limerick granted the Irish Catholic gentry the right to continue to bear arms, as well as having protection over their land as long as they swore an oath of allegiance to King William III and his Queen, Mary II. However, the civil articles of the treaty were broken when the ink wasn’t even dry on the treaty, as the Catholic gentry was constantly harassed not only physically but also legislatively with the introduction of the Penal Laws. Catholic Emancipation wouldn’t come for another 138 years.